If you want to discover and understand the physics happening all around you, then this course is ideal. "Physics gives a new perspective of the Universe, everything it contains and how everything works from the macroscopic scale all the way down to the subatomic and quantum levels. Looking at everything from a new angle gives us the opportunity to question what we believe we know, allowing us to expand our knowledge and understanding. 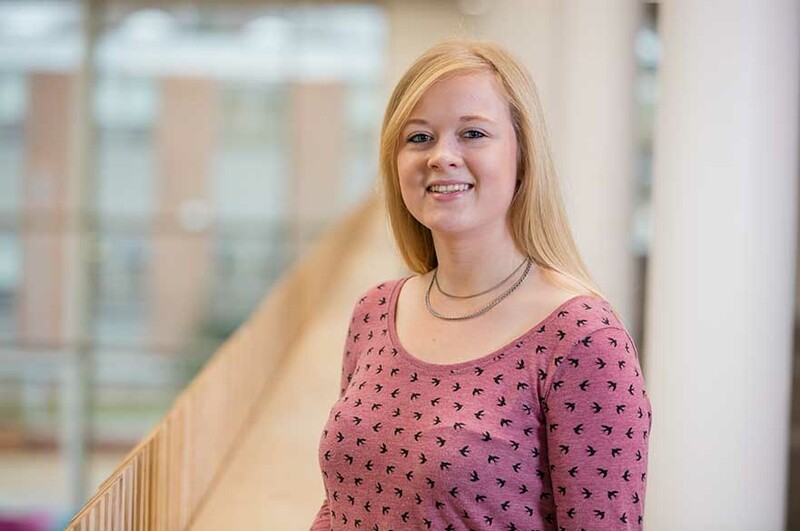 "I came to NTU to study FdSc Physics; the FdSc gives an opportunity to boost maths and physics skills to a level where you are able to obtain a Foundation of Science degree or carry on to a BSc course. I transferred to BSc Physics at the end of my first year and then from BSc Physics to MSci Physics at the end of my second year. "I completed a summer research placement here at NTU under the PURS (Physics Undergraduates Research Scholarship) scheme. This involved working for eight weeks in a laboratory as part of one of the research teams. My experimental work was about improving samples for use in MRI. I travelled to Munich with the team to present my results at an international research conference – it was an incredibly fun and rewarding experience. “I am a member of APSoc, which is the Astronomy and Physics Society; this is an academic society which is open to anyone, whether your interests lie in space or String Theory, you will fit right in. Some of the activities we do include attending academic talks, going to the pub, playing laserquest, going bowling and travelling abroad! This year we are travelling to Iceland to see the geothermal activity and (hopefully) the Northern Lights! "I've always been told that with a Physics degree, 'the world is your oyster', this is because you learn many useful and transferable skills ranging from problem solving and analytical skills to being able to program and model future trends. If you want to discover and understand the physics happening all around you, then this course is ideal." Caroline recently graduated with a first class degree and joined the NHS Scientist Training Programme, one of the most competitive graduate schemes in the UK.